In the past years, various sectors of businesses in Malaysia had indicated a rapid growth. In this deepening situation, the company is principally engaged in the business of transportation service. Being registered, we are committed to provide the service accordingly to the Malaysia Government rules and procedure. NAIDU TRANS LOGISTIC SDN BHD – A Malaysia registered company, wholly owned by Malaysian. The core of business is transportation services. 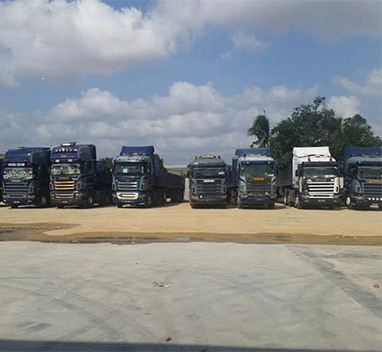 Naidu Transport is an "ASSET-BASED" Organization with the right mix of Physical, Human and Technological Resources to satisfy virtually any Logistics Requirement a Customer may have. Our founder has established Naidu Trans Logistic Sdn Bhd since 8th of March 2002. Both have vast experience in transport business and have this attitude of never to give in even in failure. They have set their goal to upgrade their business into various areas. With plenty of guts, wits and confidence the founder has set to go for the transport's giant status.